“Delving Into Obscurity” was an idea I had a while back for especially hard trivia series. For years I added a random question here and there to the database on obscure topics that interested me, but the random nature of the site managed to mask them. With the blog platform fully launched, I thought it was time to start developing the series. From now on “Delving Into Obscurity” will be a regular blog post series featuring a full trivia round of questions on niche topics that interest me personally. If you have ideas for obscure trivia rounds, don’t hesitate to send them to me. After all, everyone has something unique that they are interested in. For the first post of the series, I decided to focus on a comic book series that is very dear to me – “Strangers in Paradise”. 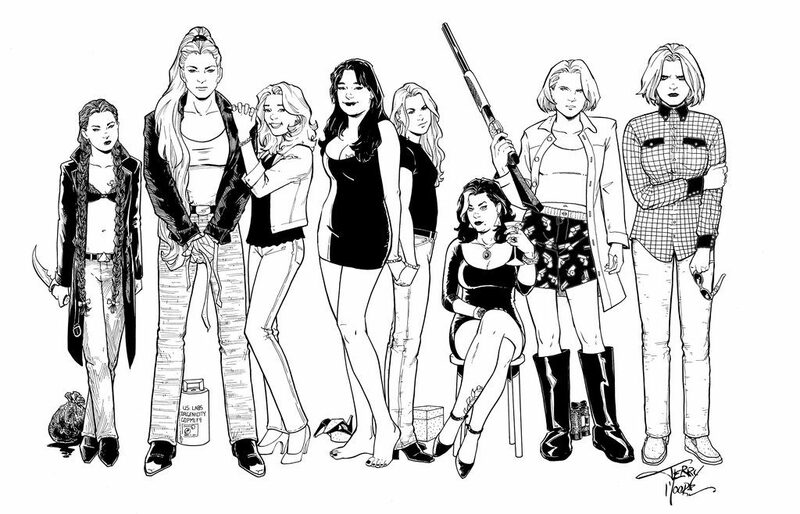 This Terry Moore series has been one of my favorite comic book series for many years, and was the first series that got me hooked on comics that had nothing to do with superheroes. In fact, shortly after I started reading “Strangers in Paradise”, I almost entirely quit superhero comic books. It is that good. So, without much further ado, enjoy this first “Strangers in Paradise” trivia round, as well as the first “Delving Into Obscurity” blog post.